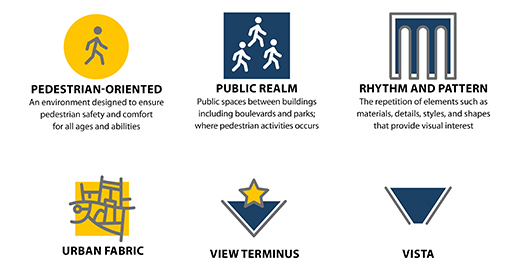 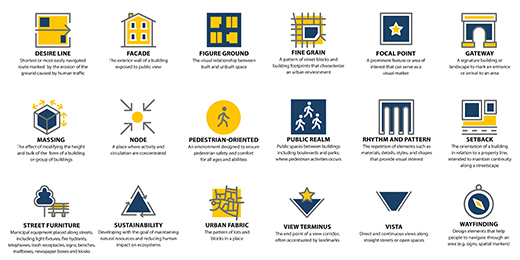 MHBC developed an Urban Design Dictionary to help articulate key principles of design in an illustrative way. 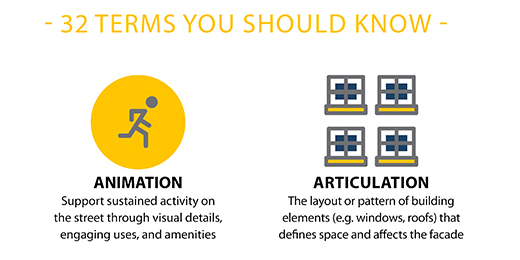 This tool was developed as a reference guide to help our clients understand and connect with typical design terminology. 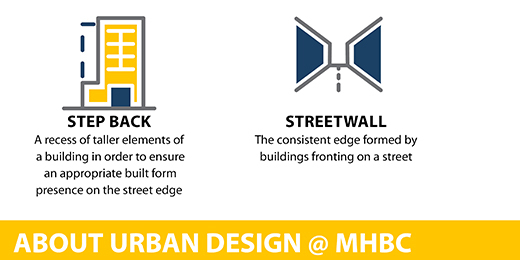 It was so successful that MHBC has extended its use throughout our design documents and communication materials. 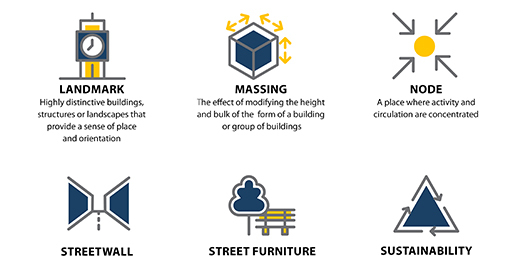 The Urban Design Dictionary is available for download from our site for your use.